Is the face on the far left a Colonial Beach Ghost? These reportedly haunted houses may contain spooky entities. At The Bell House, people have allegedly seen the face of Melville Bell (Alexander Graham Bell's father), with his white hair and beard, at the windows. Another ghostly visitor is Bertha, who lived in the house for many years. People have supposedly found her hairpins on the floor. Also, a white wispy presence has been seen on the stairs and in the bathroom, according to tenants. A house on Boundary St. has reports of being haunted. Entities have been seen, voices have been heard, objects would move on their own, entities would peer out of second floor windows, usually at dusk. The house, known as Green Gables, is thought to have stood on the empty lot pictured above. A new house has since been built on the lot. 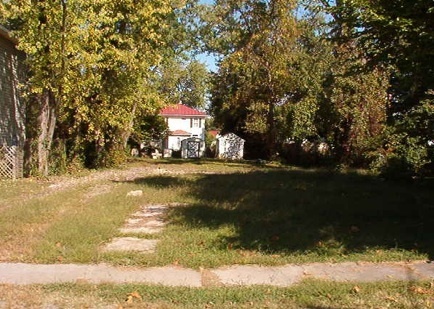 Another house that may be haunted is one on Irving Ave. which supposedly has a filled-in swimming pool in the front yard because a small child drowned there. The old Colonial Beach Hotel, which used to stand where the River Edge Inn is now, also has a ghost story associated with it. The hotel was torn down in 1984. Gum Bar Point, where the Dockside Restaurant is located, was nicknamed "Ghost Point" in 1985 when a flood unearthed the remains of men who appeared to have been forced to work on a 17th century fishing boat. "Charlie" is said to frequent the grounds, but not in physical form. The Boo Patrol conducted a paranormal investigation there was well as at Westmoreland Shores, Westmoreland Shores Club House, Indian Village and High Tides Restaurant. In October, Ghost Tours are sometimes offered in the Great House at the nearby Stratford Hall Plantation. There are also a lot of other great Halloween events in the area, like guided Ghost Walks on the Boardwalk. “Spirits on the Boardwalk” was held Saturday, Oct. 27, 2012. 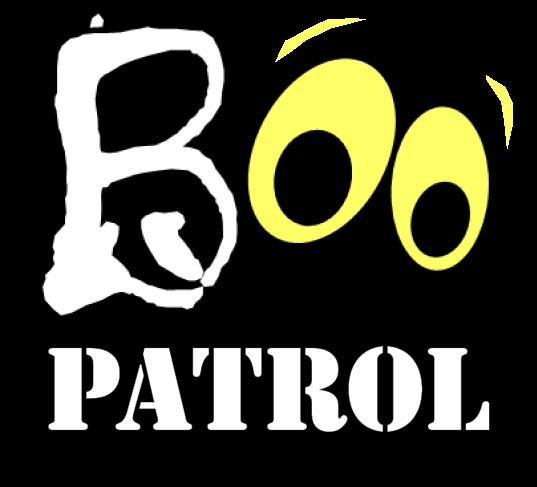 Sponsored by the Colonial Beach Boo Patrol. "Bring your cameras, camcorders and paranormal equipment to capture spirits on the boardwalk while learning history of the Colonial Beach boardwalk along with hearing local folk lore that has been shared by local long time residents. We look forward to sharing this history with you and for your participation in this first of its kind boardwalk event. The walk starts at the American Legion, proceeds down the boardwalk, and up Hawthorn Street to the Museum. The walk concludes at The Museum with discussion, cider and cookies." Check out The Ghosts of Virginia series of books by L. B. Taylor and be sure to contact us with your haunted stories if you'd like us to include them on this page.